Modern automotive cylinder head designs require the highest level of machining and assembly when reconditioning. Our reputation for quality rebuilt cylinder heads and valve jobs is based on a commitment to properly train and equip our staff with the latest equipment and manufacturing techniques. We are crack repair experts! Is your cylinder head beyond repair? Ask about new cylinder head castings. 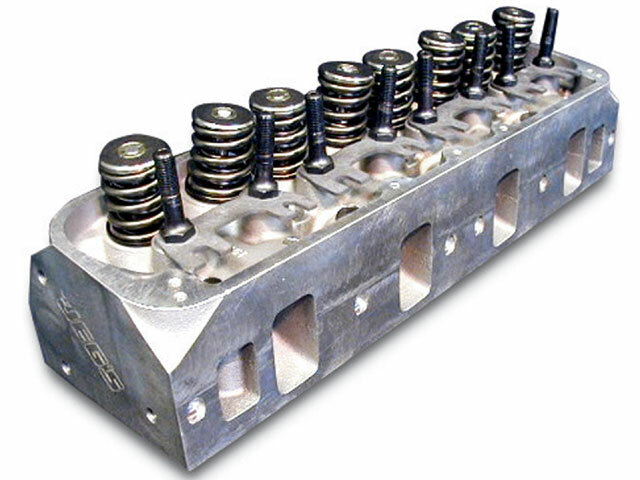 While most cylinder heads can be remanufactured, we also offer new cylinder head castings for cases where the existing head is beyond repair, rare, or replacement is simply more cost efficient. Order just the bare casting or the fully assembled head.